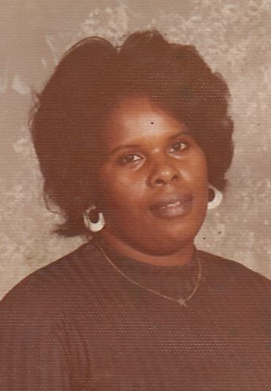 (Lancaster) Clinnie Allen Coleman, 74, died Monday, March 18, 2019. Funeral Service will be held Saturday, March 23, 2019 at 2:00 PM, Crawford Funeral Home Chapel , Rev. Kenneth Cauthen will officiate, Burial in the Camp Creek AME Zion Church Cemetery. Viewing will be Friday, March 22, 2019 from 1:00 PM until 7:00 PM at Crawford Funeral Home. Clinnie A. Coleman, a daughter of the late Henry J. Allen and the late Jessie Cunningham Callahan was born August 13, 1944 in Lancaster, SC. Survivors include four sons, Reuben D. Coleman Jr. of Lancaster, SC, Dwayne Coleman and Phillip Coleman both of Atlanta, GA, Wayne Coleman of Raleigh, NC, five daughters, Cynthia A. Cureton of Rock Hill, SC, Loretta Coleman of Lithonia, GA, Alberta Coleman of Durham, NC, Patricia Moore of Decatur, GA, Brenda Coleman of Winnsboro, SC, one brother, Willie B. Allen of Lancaster, SC, four sisters, Margie Mackey, Peggy Harris, Gertrude Stradford all of Lancaster, SC, Daisy Hemphill of Atlanta, GA.